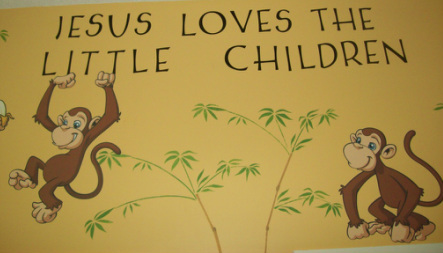 Jesus loves the little children and so does Lycoming Christian Church. The Children's Ministry team coordinates the nursery (newborns through 24 months) program, a service that is available during Sunday School and Morning Worship. Our adjoining nursery rooms are located at the back of the vestibule. All of our loving, competent volunteers are required to pass a criminal background check as well as obtain a child-abuse clearance which ensures your children's safety and well-being. In addition to traditional Sunday School programs, we also offer a Junior Worship program for Grades 1 - 6 which dismisses following communion and meets downstairs. Children also meet on Sunday Nights at 6:30 p.m. to practice for the Christmas Play, Easter Pageant, and Bell Choir, as is needed.